I can’t remember if we have children’s books when we’re young except for the Bible stories books. My mom used to read me stories every night and this is one thing I missed when she left. Now that I have a son, I always buy books for him though I admit that we don’t read books every day. But I’m trying my best to read at least one book a day. 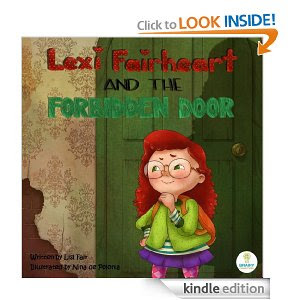 I don’t have Ebook for kids yet but fortunately I got two sample of Brainy Connections Ebook, Codley and the Sea Cave Adventure and Lexi Flairheart and the Forbidden door. 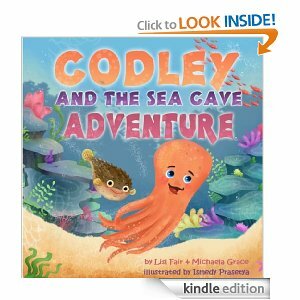 Codley is an adventurous octopus who loves to explore the ocean and meet new friends. Codley has a friend named Pokie the Puffer Fish. Codley and Pokie decided to explore a mysterious cave where they met a new friend and experienced dangerous and strong current. I love this book because it talks about friendship. My son who loves fish and other sea creatures will definitely enjoy this. Lexi is a five year old kid who loves to bring backpack wherever she goes. She is like the other kids who are curious and want to learn new things. She hates closed doors and she always wants to see what’s on the other side. She even opened the forbidden door and discovered new things. This book is good for those kids who are curious and innovative. Lisl Fair has a Masters Degree in Speech-Language Therapy and Audiology. She left private practice to spend more time with her four children and took up a career in writing from home. She is the author of numerous magazine articles dealing with a variety of parenting subjects and is involved in the development of educational children books. She is involved in Brain-Based Learning and Development and helps parents and children discover how they are unique on a part-time basis. Both Ebooks are available in amazon.com for $2.99 each. 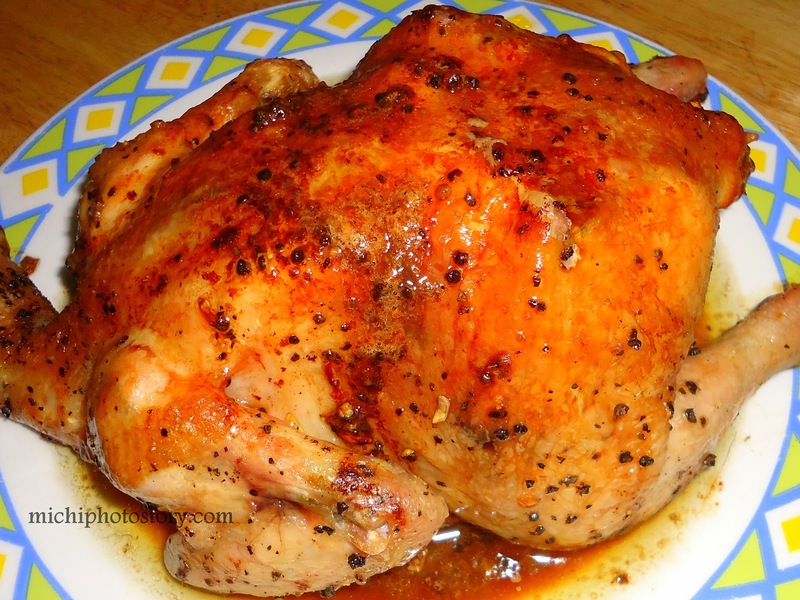 We all know that it so easy to buy roast chicken because you can find roast chicken store everywhere but nothing beats homemade roast chicken. 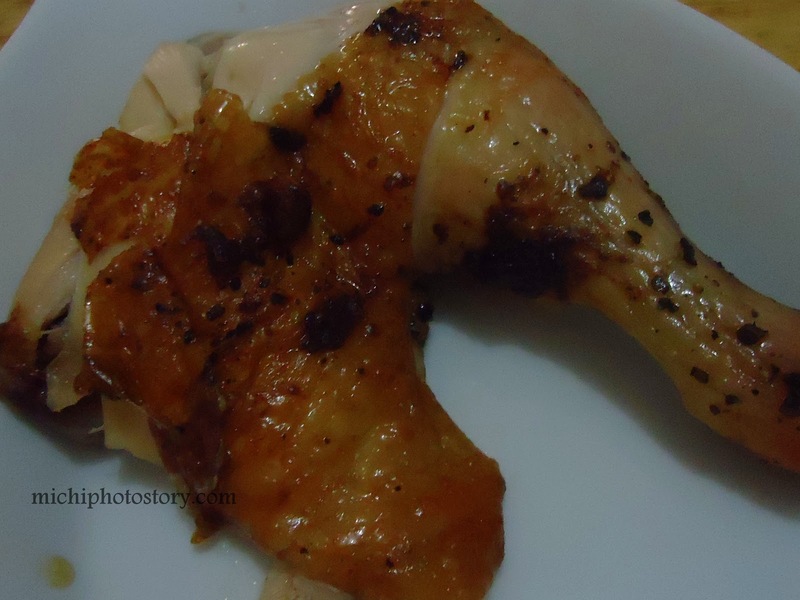 Roast chicken is one easy recipe that you can do at home and I always do this during my lazy moments because all I need to do is preheat the oven, season the chicken put it in the oven and leave it there for more or less 1 hour. I only use salt, pepper, lemon juice or calamansi juice and garlic (I put this inside the chicken). Then I put some soy sauce (color) and olive oil before I put it inside the oven. Sometimes I put herbs like thyme and rosemary. The moment I saw the two lines in my pregnancy test I was so happy and I could not explain the feeling, all I know is I will be a mother soon but it was not a successful pregnancy. But God is so good and He gave me another chance and now I have a son. I always say that my son completes me because I know that without him I won’t be a mother. No one says that motherhood is a sweet journey and you never know how hard it is unless you become a mother. I hope there is Motherhood 101 lesson in school so I would be prepared but there isn’t any lesson but every day is a chance for me to learn how to raise my son, how to be a good mother and how to enjoy being a full-time mom. Being a mother is not easy because there are always challenges, trials, and mistakes along the way. There are times that I feel that I’m not doing the right thing and I’m such a failure mom but I know that it is all part of life. Despite all of these hardships and challenges, I can definitely say that I’m grateful because God gave me the opportunity to become a mom and I will not trade this for anything because there are a lot of sweet moments, happy memories, and joys of motherhood. 1. 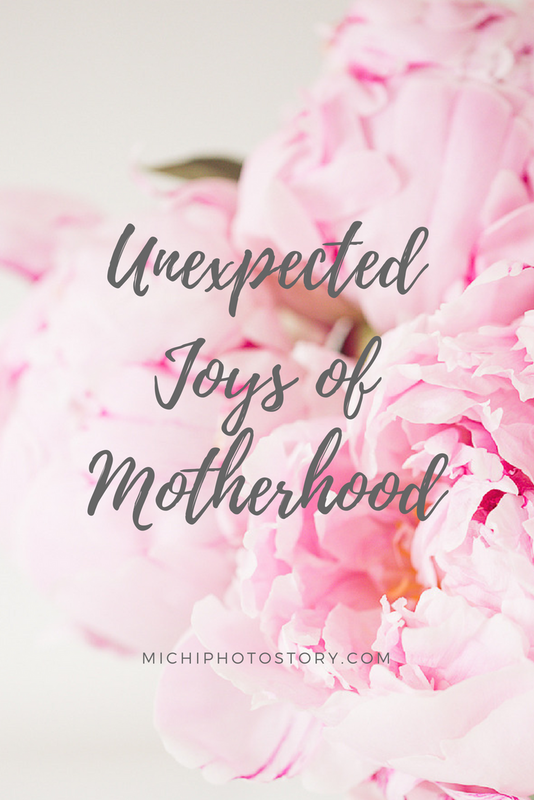 I’m happy that I chose to be a stay at home mom because I have more time with my son and I can capture those first-time moments. Witnessing his first smile, crawl, steps, etc. are priceless memories. 2. I enjoy taking photos of his developments, milestones and crazy moments. 4. Hugs and kisses from my son are enough to melt my heart even when I’m mad. 5. I have a companion when my husband is not around. 6. I know I will have separation anxiety if my son wants to have his own bedroom. 7. 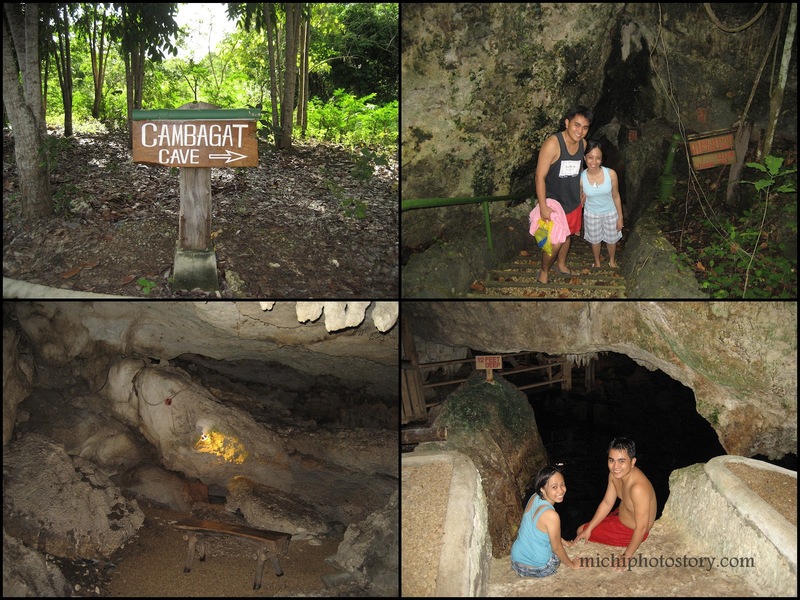 Our everyday activity and bonding. 8. I find blogging inspiration from him. Motherhood is a lifetime journey and process. I learn and discover some things that I did not know that I have. I never thought that I could love someone unconditionally. Honestly, I’m not fond of kids’ maybe that is why I don’t want to be a teacher because I have very little patience but when I had my son, everything change. He changed me. I got this recipe from Yummy Magazine and I did not like the result because I find it too dry and I can’t taste the butter. 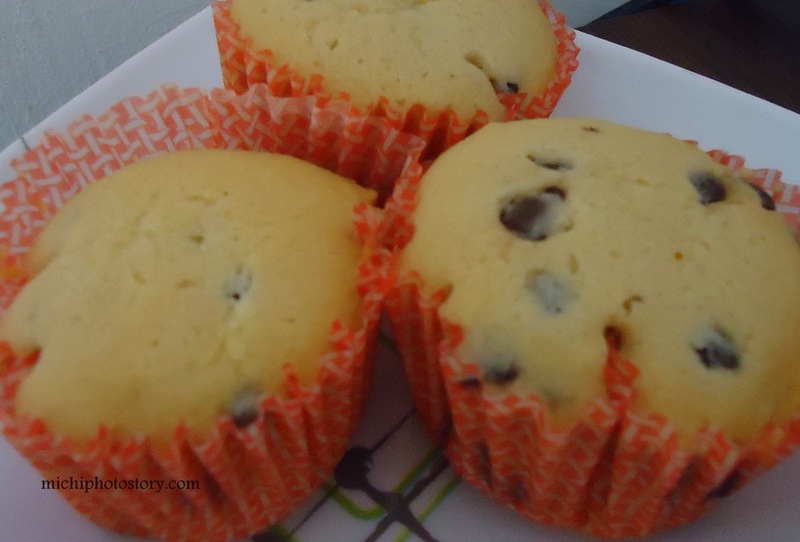 After three years, I tried this recipe again but this time I add ½ cup of chocolate chips but still the same result. Hubby and son like it maybe because I add some chocolate chips. Here is the recipe and procedure if you want to try. 1. In a bowl, mix together ½ cup of softened butter and ½ cup sugar. 2. Add 2 eggs and 1 tsp vanilla. 3. Blend in 1 cup flour and 1 tsp of baking powder. 5. Bake at 350 degrees Fahrenheit for 20 minutes or until sides of cupcakes are lightly browned. When I was young, I never thought that preparing meals are stressful but now that I’m a mom, I realized that thinking what to cook every day is a challenge so I always have weekly menu but still I’m having a hard time thinking what to cook for the whole week. Every day I only cook one meal because there are only three people in the house so how much more if you have big family, you have to cook meals for breakfast, lunch and dinner. Whew! We only eat light breakfast, our usual breakfast are sandwiches, cereals and oatmeal but for weekend, we eat rice meals so I have to cook the usual breakfast meal like hotdog, bacon, omelette, spam, or any dish with SI-LOG (SInangag (fried rice) itLOG (egg). For snacks, it varies, sometimes I bake cupcake, cook pasta or sweet treats like banana-q which is good for 2 to 3 days. Writing weekly menu may be hard but you can also save on this because you will only buy what you need for the whole week so no wasted ingredients and because of this I defrost our fridge every week, day before our market day. I usually use scratch pad to write my weekly menu but now I’m going to use this, I hope this will inspire me to write our menu. I bought this 2 years ago at Baby Couture (P50) and this is the only time I’m gonna use it. Hehe! How about you, how do you plan your meal? We had a quick mall trip last Saturday to finish some errands and we saw this new restaurant at SM Sta Rosa. Hainanese Delights serves barbeque and Hainanese chicken rice, we’re having a second thought in trying this new restaurant because it was 12nn and we can’t see any customers but we still give it a try. They immediately gave us the menu and while checking the menu, one staff came and gave us some plain soup and glass water. 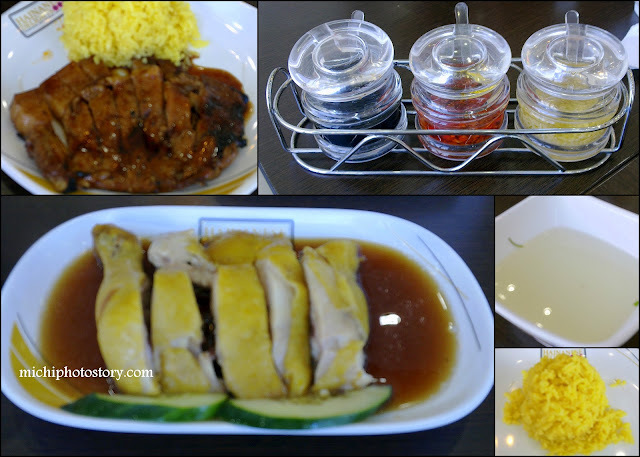 We ordered Hainanese chicken delight P120 and pork chop P120. After a few minutes, the staff came back and gave me my receipt, I asked if I need to pay immediately and she said yes. I gave her the money and she went back again for my change. 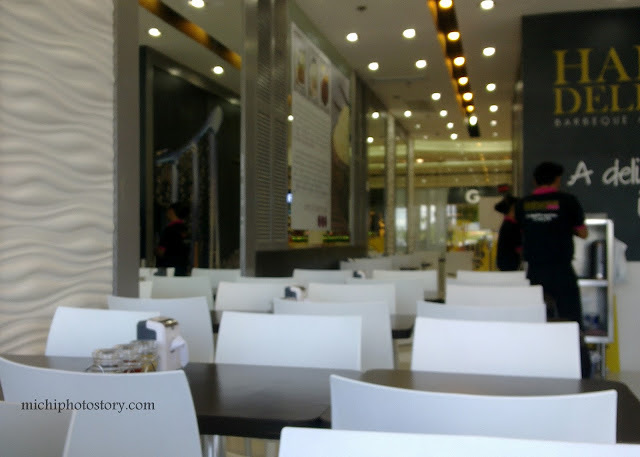 After a few minutes, customers started to pour in and the staff gave them the menu, plain soup, and a glass of water. But one thing I noticed, the staff did not get their order, the customers went to the counter, they ordered and paid their bill. Nahiya ko bigla, feeling ko paspecial ako, but kudos to the staff for the extra effort. She could inform me that I have to go to the counter but she still gets my order and went back twice to our table. If my son has no tantrums, we will order and eat more. Price is really affordable. My husband has been paying our monthly amortization at Pag-ibig office (Shaw) for the last several months and finally, he asked if there’s another way to pay our monthly dues and Pag-ibig staff informed him where we could pay our dues. 4. Type Surname, Name, Housing Loan Account Number and the code appearing in the box. Note: The housing loan monthly billing statement is available for viewing or verification a week before the due date. We receive the monthly text and email from Pag-ibig regarding our due so even without the statement, we can pay in SM Payment Center. 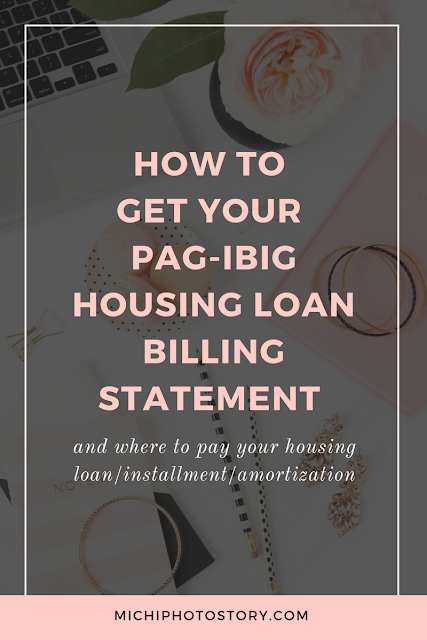 Super late magdeliver ng bill statement sa amin, good thing there are other options to get the Housing Loan Billing Statement. Where to Pay your Housing Loan, Installment, or Amortization? - Any HDMF Branch, if payment is made on or before the due date specified in the “due date” portion of the Housing Loan Monthly Billing Statement. You may visit www.pagibigfund.gov.ph for the list of HDMF branches. - Only at the HDMF Branch maintaining the account, if payment is made after the specified due date in the “due date” portion of the Housing Loan Monthly Billing Statement. 2. Accredited Collecting Agents (Developers with Collection Servicing Agreement with HDMF, SM Business Service Centers and Landbank of the Philippines [All branches]). - Only if payment is made on or before the due date specified in the "due date" portion of the House Loan Monthly Billing Statement. You may visit www.pagibigfund.gov.ph for the list of Accredited Collecting Banks/Agents for local and overseas. Update: Please be informed that effective July 1, 2018, all housing loan borrowers shall be required to pay their monthly amortization/installment through the Fund's accredited collecting partners. Note: I paid our amortization last Sunday March 24, 2013 and SM is now charging additional P5 for Pag-ibig Service Fee. My husband paid our amortization last November 20, 2016 and the staff informed him that we need to pay the exact amount. Hindi na daw pwede yung sobra. So sayang na naman ang centavos na hindi maisusukli for sure ng cashier. But this year, 2018 they accept our payment naman kahit nakaround-off na and wala na centavos. 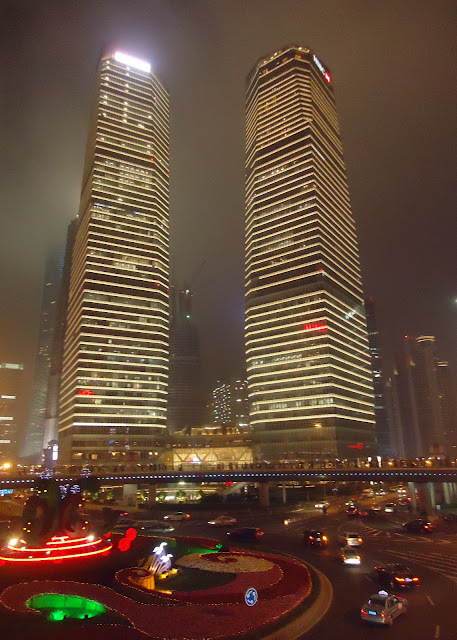 I’ve never been in Shanghai but if ever I will have a chance, I will surely visit Shanghai Akasantei. It is teppanyaki and yakinuku restaurant that my husband never failed to visit every time he’s in Shanghai. 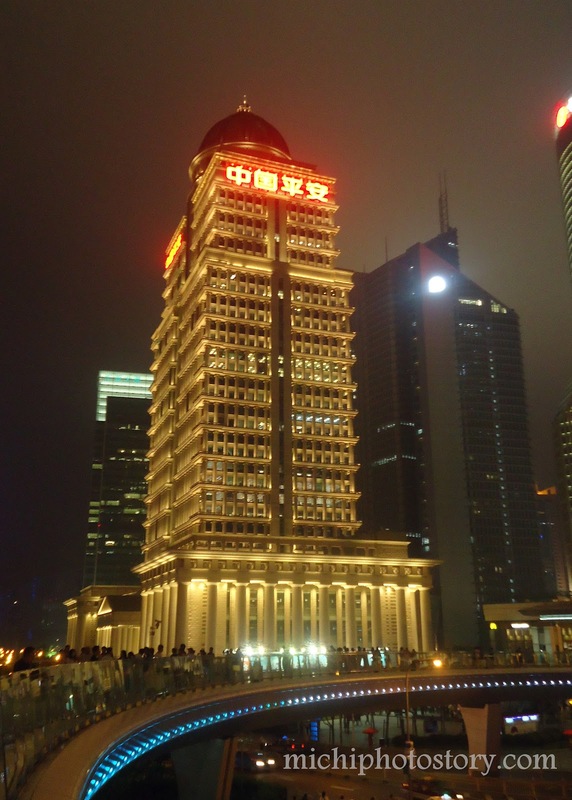 It is located in Pearl City and 10 minutes away from Renaissance Shanghai Yangtze Hotel. 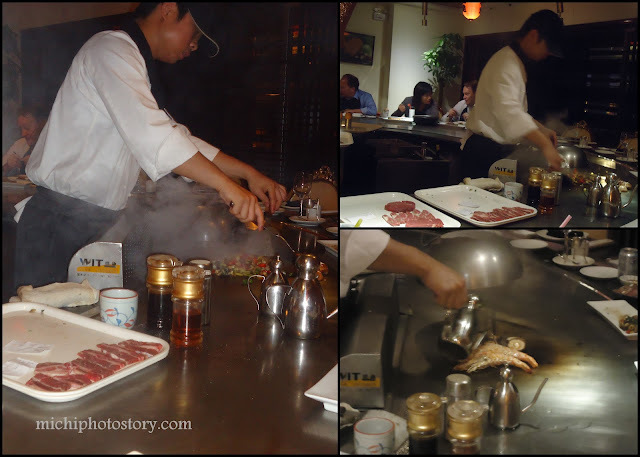 Shanghai Akasantei produces Japan style teppanyaki in an elegant dining room. 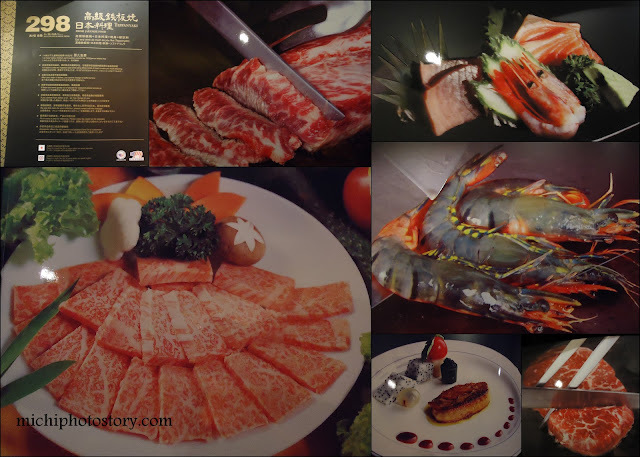 They offer various wonderful dishes from world travel. They serve unique dips and each dip has a distinctive flavor that would give you a good appetite. It is an eat all you can restaurant for RMB298 (P1,800+), just choose from their menu and staff will gladly cook it for you. 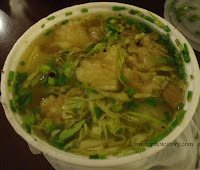 Hubby told me that there are prices on the menu so one of their tradition is to compute all the food that they have ordered and the price that they have to beat is RMB4800 (P28,000+). 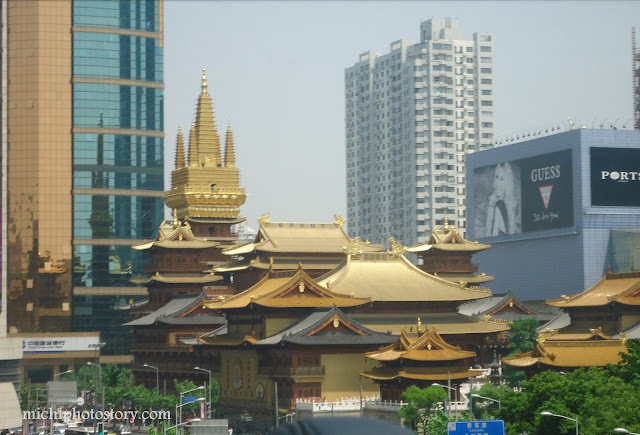 But of course, they will only pay RMB298 per pax. So I wasn’t surprised if my husband gained weight after his business trip. Summer is not yet over because we can still feel the scorching heat of the sun though there are times that we experienced occasional rain showers, it is still hot. My family summer essential is aircon; it seems that we can’t live without this appliance. When we move to our house, we can’t really sleep comfortably because aircon wasn’t installed yet and we can no longer use the old aircon because it will not fit our new room. My son had skin rashes because of the heat so we went to my doctor to have it check. When we reached the hospital, the rashes were lessening maybe because of the aircon of the car. So after the check-up, we immediately bought aircon and have it installed as soon as possible. Aircon is very important to us and I don’t even know how we are going to survive the summer heat without the aircon. I’m very much thankful to the inventor of this appliance, whoever you are. Hehe! And because it is very significant in our lives, we make sure that we maintain this home appliance. Preventive maintenance is a must at least once a year but my husband is in-charge for that. Sometimes if our aircon needs a minor repair, he will not call any repairman like Hvac Austin and Cedar Park AC Repair, so it is really a big saving on our part. But if he can’t fix it, we will just call our neighbors to fix it. The only disadvantage of this appliance is, it always makes me nervous every time I receive our electric bill. I know that I posted this quote before; this is one of my favorite quotes because I can totally relate. I’ve said it numerous times that it was not my dream to be a full time mom but now I’m a stay at home mom for four years already. So I believe that no matter how I plan my life, there are things that I cannot control, so I just let go and let God to be my guide. Well, I’m not alone because most of my friends also change their career, we all took BS Commerce but one of my friends is now an engineer and another friend is now a chef. Not all ended up with business position. The same thing happen with my husband, he used to work in semi-conductor manufacturing company. He used to handle, evaluate and improve equipment utilization as an Equipment Engineer. Most equipment in their company mostly uses compressed air to perform their functions. This compressed air must be free of compressor oil; this can be done by using air compressor filter to make sure that the output product from this equipment is free from oil contamination. So there are times that he needs to work overtime but he only works inside the plant. But now he works in manufacturer of telecommunication products and the job is very different from his previous job. He now evaluates and develops products and he also trains technicians and end-users. Most of the time he is out of the office, he is in out of town trip or he is out of the country. But whenever I asked him “which job he loves, the previous one or the present one”? He said, he loves both. How about you? Are you planning to change your career? As I mentioned on my previous post, hubby just came back from Shanghai last Saturday so I know that we will not have any Mother’s Day celebration. 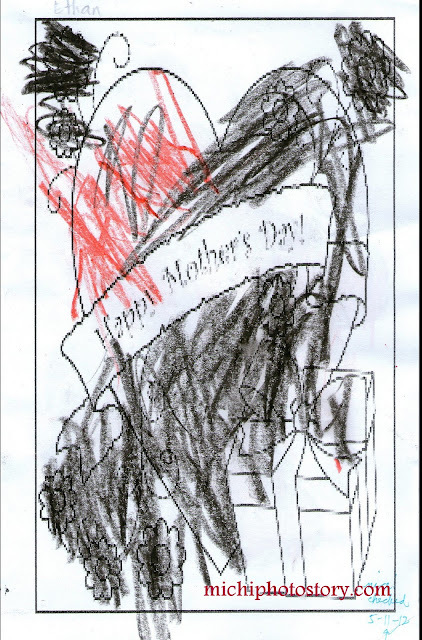 Well, the truth is, it is not a big deal to me, I can’t even remember if we really celebrate this occasion, as far as I know, year 2009 was the first and last time that we celebrate Mother's day. A simple greeting from my family is enough and if I could have a rest day on this day. hahaha! Surprisingly, last Sunday hubby was suggesting if we could have an overnight stay in Tagaytay because he wanted to sleep, sleep and sleep. #jetlag. I asked him what’s his budget and he said P500. Oh my P500 for an overnight stay in Tagaytay, I told him I rather stay at home than stress myself looking for cheap accommodation. Today is my day! But hubby was determined to pursue our overnight stay so after lunch, I checked Pina Colina and Hotel Kimberly site but there was no promo. Then I checked Taal Vista Hotel, they have an on-going promo. 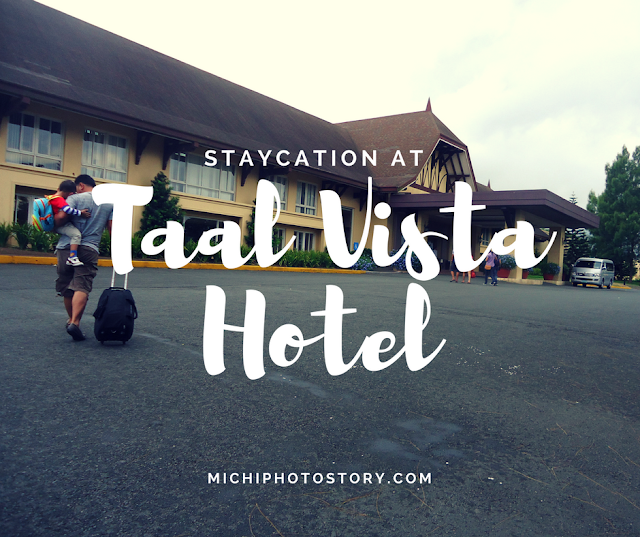 The promo price is almost the same with Hotel Kimberly regular price but since we haven’t tried Taal Vista Hotel, we chose the latter. P4,075 for a superior room but unfortunately no more rooms available so we have no choice but to get the De Luxe room for P5,075 less discount (SMAC or BDO Rewards) = P4,775. 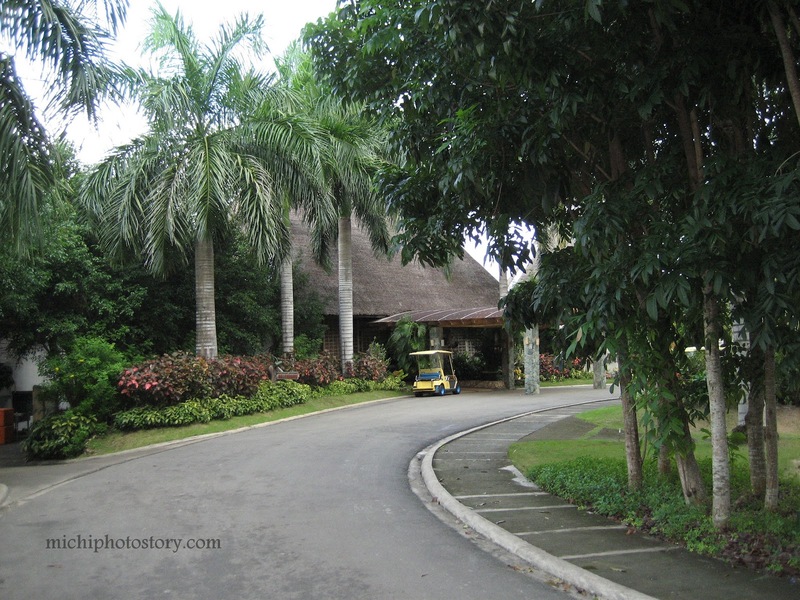 After 50 minutes, off we went to Tagaytay (1:50PM). 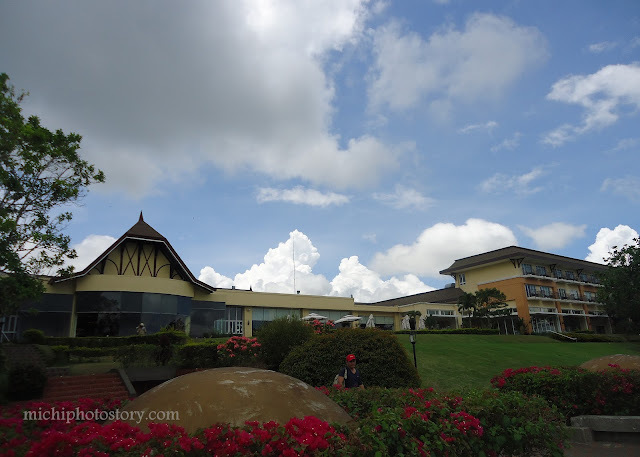 We reached Taal Vista Hotel at 2:50PM so one hour travel time from our place. 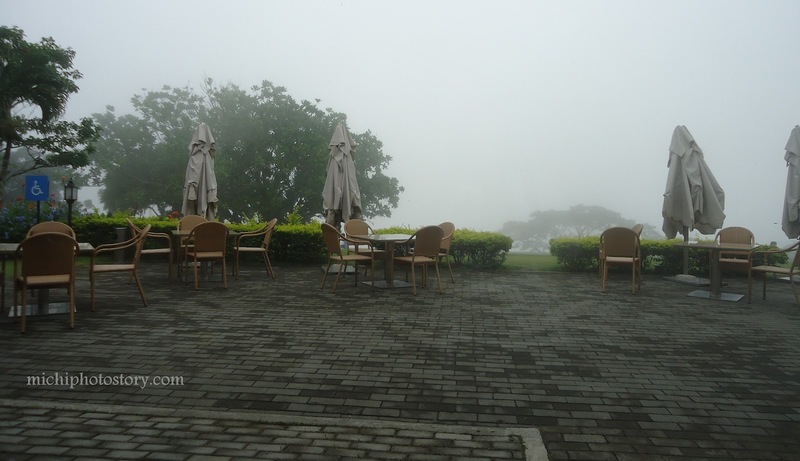 For me, Taal Vista Hotel has the best view of Taal Volcano but unfortunately, we can’t see it from our room, all we can see are building walls. The most exciting part of the staycation is complimentary buffet breakfast; I think this is open for walk-in visitors for P678. 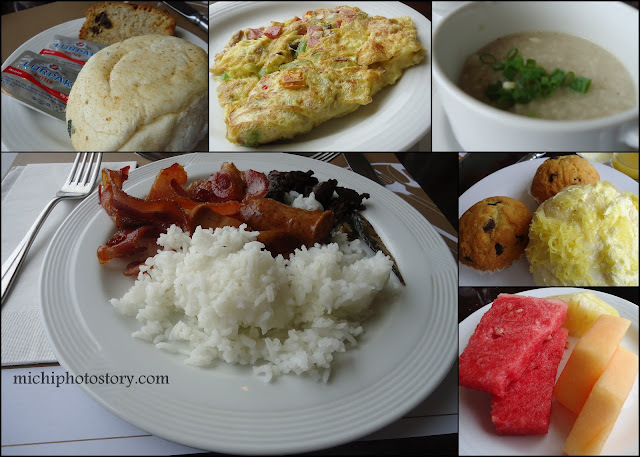 During our stay, here are the choices: Hungarian sausage, beef tapa, bacon, fried silinyasi, chicken longganisa, steamed rice, fried rice, goto and champorado. There is an omelette station, bread station, vegetable salad & fruit station, cereal & pancake station and drinks station. 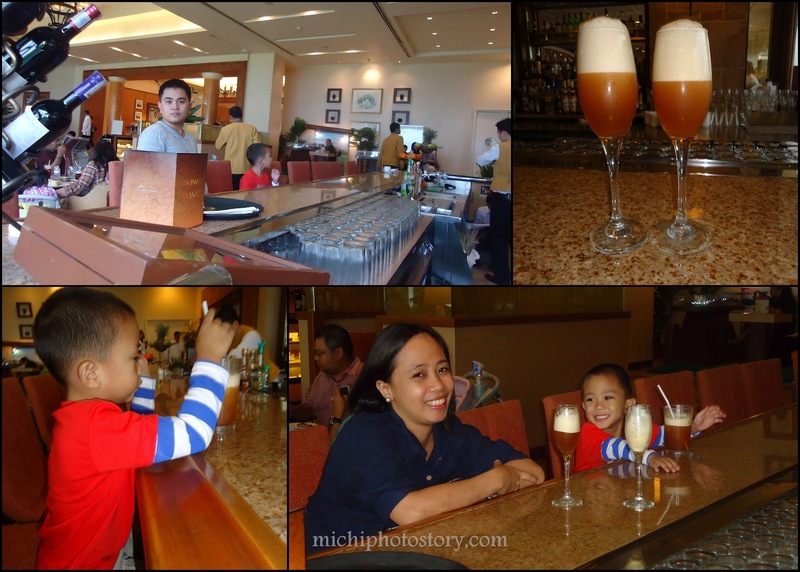 Drinks: coffee, milk, orange juice, mango juice and pineapple juice. Our favorite from the menu are malunggay pandesal and goto. 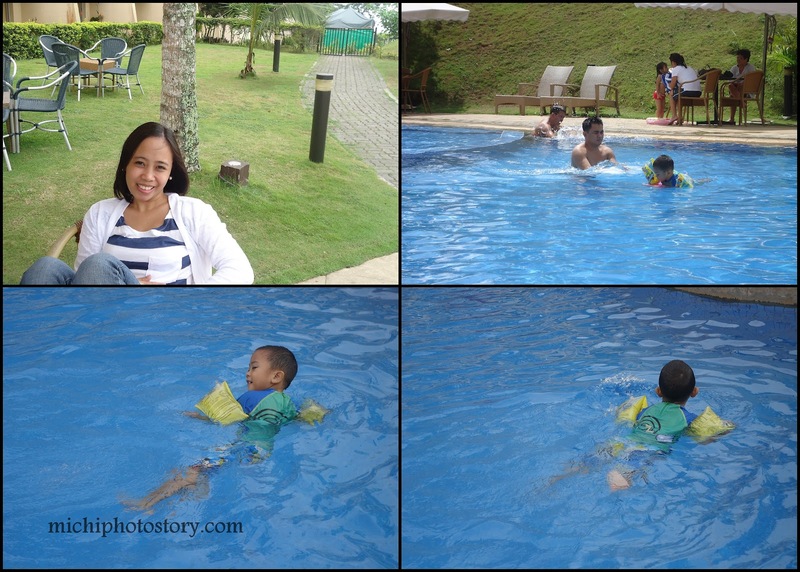 After breakfast, we went to the swimming pool and we spent the rest of our time here. 2. Facilities and amenities are good. 3. I love soft pillows, our room has 4 pillows. Bed is comfortable. 4. Welcome drink is good up to four persons unlike in other hotels. 1. Since this is not a cheap hotel, I was expecting more for the service. 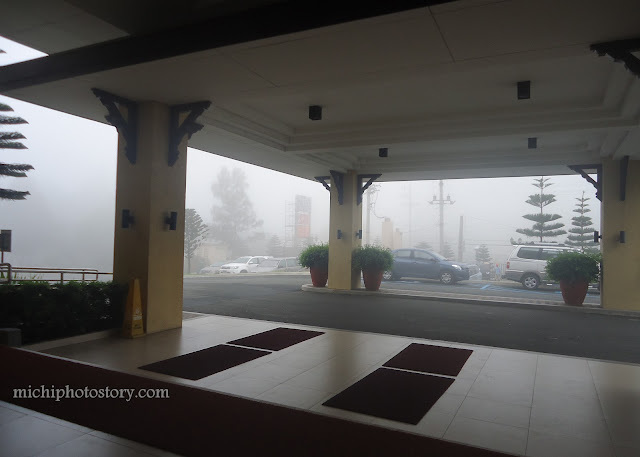 During my overnight stay, I did not hear any “welcome to Taal Vista Hotel, good afternoon, good morning and good evening”. The staffs are just ok. I’ve stayed in pension house, guesthouse, hotels and other luxury resort but this was the first time that I did not hear any greetings from hotel staff. I don’t know if it is just an isolated case, I don’t expect them to greet me whenever we bump each other but a smile and nod will do to make the guests feel welcome. 3. 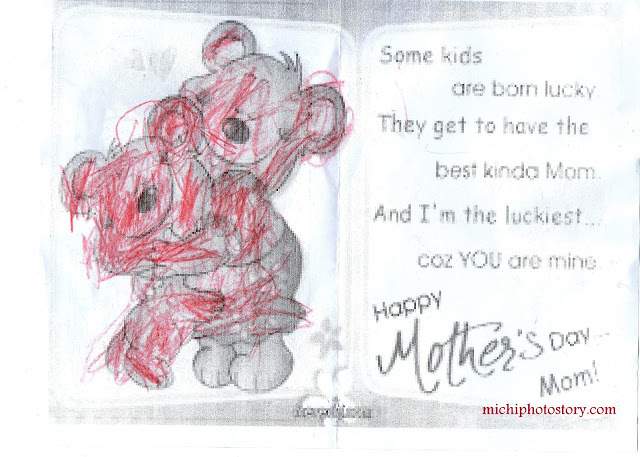 It was Mother’s day and wala man lang freebies or greetings for mothers. So before we left the hotel, I filled out the survey form and gave it to the receptionist. I was not expecting for good service anymore but Raffy gladly assisted us during our check-out and he was really smiling. He even asked if we already have a car pass and if not he need to sign our parking ticket. I just hope they have more staff like Raffy. I received a call from Taal Vista Hotel because he read my comment in survey form and he asked if we had a bad experience in their Hotel. 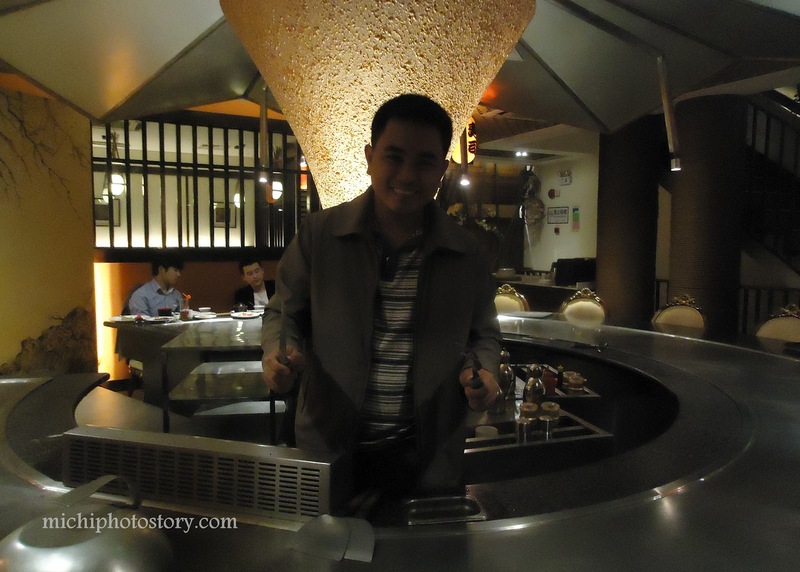 I told them that it was not really a bad experience but I hope they improve their service. 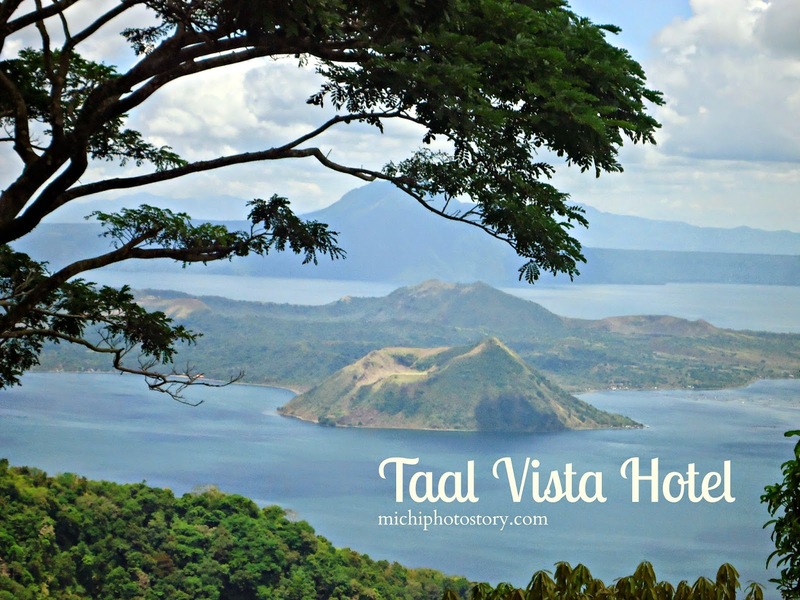 He asked if I will still visit Taal Vista Hotel, I said yes. If they will have a good promo, I will try this hotel again but if I will pay P4,775, I will just book cheap airline tickets. Update: I received a call and apology letter yesterday (May 22, 2012) and they informed me that they have launched a new smile campaign program to correct the error. I tried to reply to their email but I'm receiving a Mailer-Daemon Notice. Anyway, It is good to know that they are seriously taking into consideration the guest feedback or comments. Note: If you are reserving for a room don’t forget to give your SMAC or BDO rewards number so they can give you additional discounts (if there’s any) and upon payment, give your SMAC or BDO reward card so you can earn points for your stay. McDonalds is just in front of this hotel and there’s a small stall beside PAGCOR where you can buy mami for P30. Newcastle isn’t usually the first place that springs to mind for a city break with the kids. Look online to find deals on a Newcastle hotel and take the family somewhere unexpected this summer. 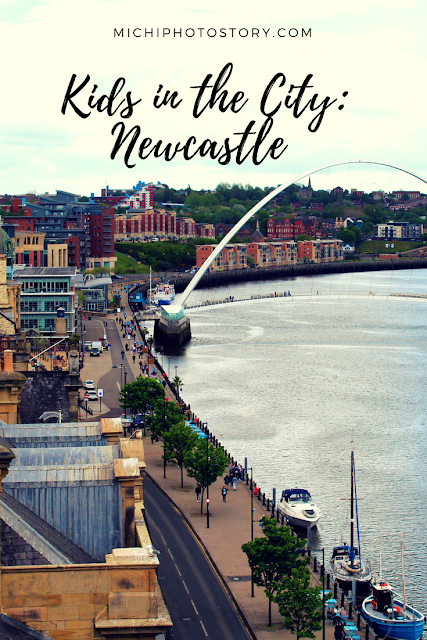 Consider central Newcastle hotels as a base to explore this impressive northern city; it has lots to offer children of all ages. Do you have a TV star in the making? If your bairn was born to be the face of the next generation’s primetime slots, check out the Geordie home of the BBC. Families will learn about the production of popular TV programmes and the inner-workings of TV studios. Children will love seeing sets from Tracey Beaker, reading the BBC news and presenting the weather. Book your tour at BBC Newcastle in advance to avoid disappointment on the day. This is a working studio and places are limited. Whether your child loves history, science or simply learning about the world around us, the Discovery Museum in Newcastle is one of the best hands-on attractions around. If you have a large family you’ll be delighted to hear that the Discovery Museum is free to all, providing a completely complimentary day of interactive fun and learning for the whole brood. Pack a picnic and take in the summer air at Saltwell Park. This common is an impressive 55 acres and is simply filled with activities to keep everyone entertained. From bowling greens to adventure parks and boating lakes to animal houses, this handy park is free for everyone. For the more adventurous among us, learn a little about Saltwell before you travel and educate the kids on the Saltwell Towers and the history of Newcastle. 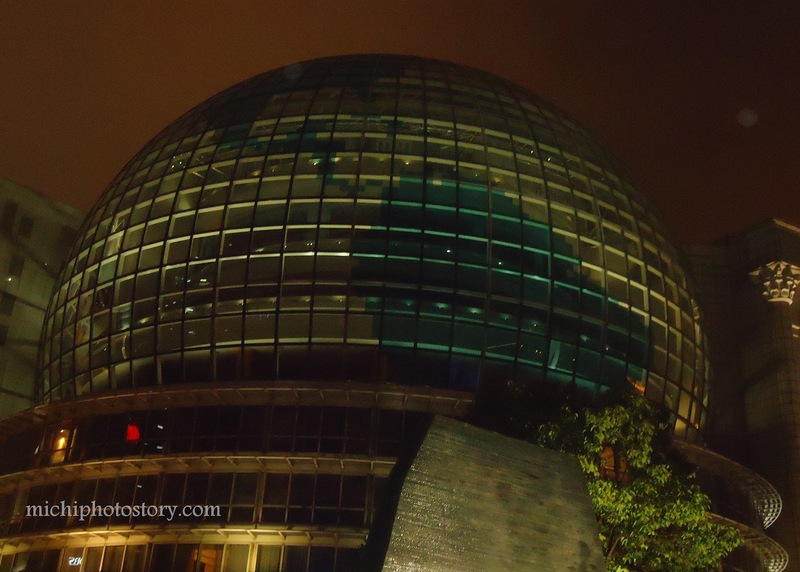 Exploring the city with a family doesn’t have to be expensive. Go online to find deals on Newcastle hotels and spend your days indulging in some of the free attractions on offer. Hubby just came back last Saturday from Shanghai business trip, this was not his first time trip, if I remember it right, this is the 4th time that he visited Shanghai but this is the first time that I’ll be sharing photos of his trip. 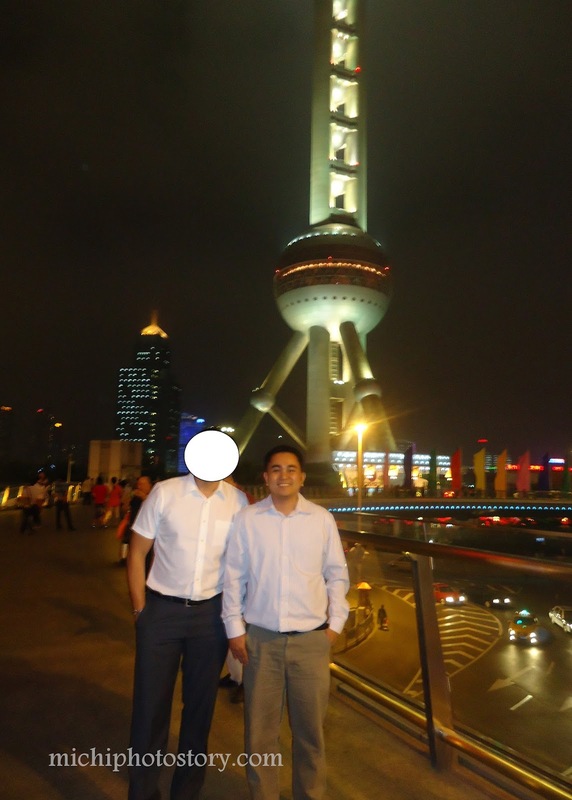 My husband is not fond of taking pictures so even though his work entails a lot of out of town and out of the country trips, he has no souvenirs (except for the expo trip in Shanghai). I’m not surprised because even team buildings and Christmas party events he has no photos unless someone I knew posted pictures on Facebook. 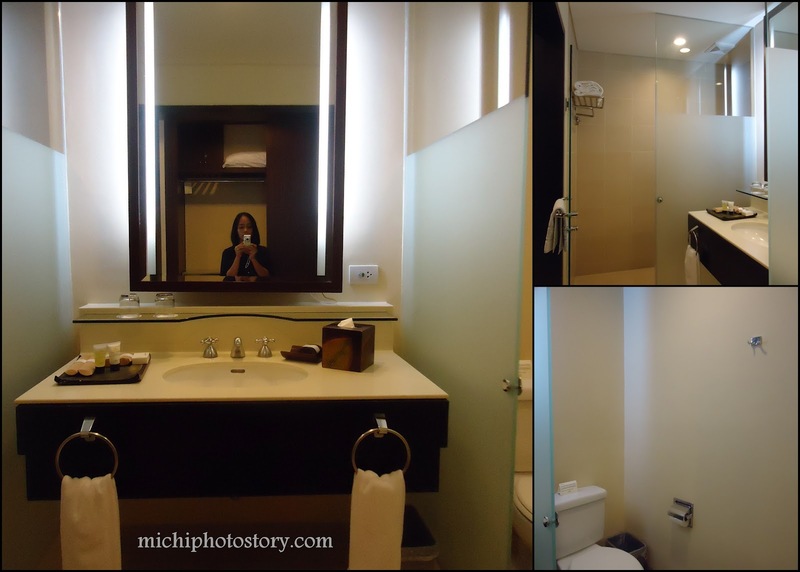 He always brings a camera to document his business trip but all photos are business related. I always remind him to take some pictures so at least I have an idea of the place he visited. Whenever I asked him about his hotel, he will just tell me the same thing, check the internet. Well, he always stays in Marriott Renaissance Shanghai Yangtze Hotel, again no pictures inside the hotel. 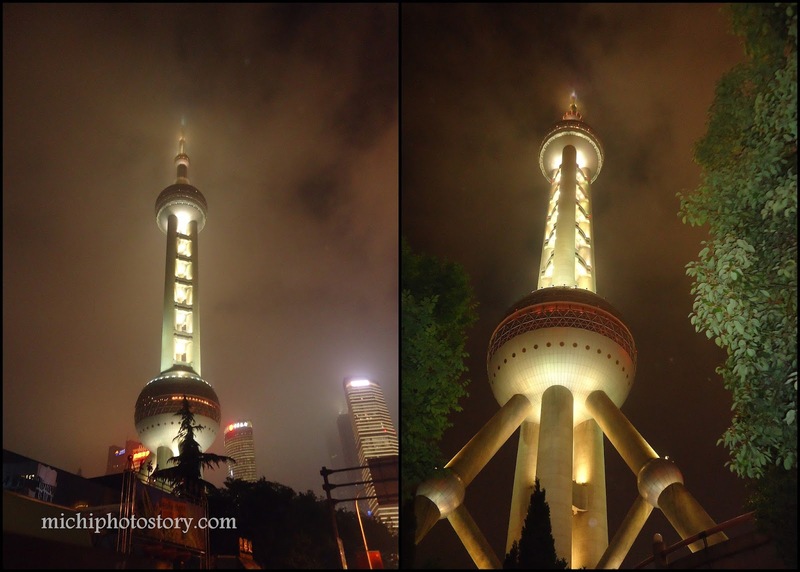 I’ll be sharing some limited pictures that he took during his seven days trip so you can also have a glimpse of Shanghai. Shanghai is known for its architectural buildings and some popular tourist destination such as Oriental Pearl TV Tower located in Pudong, The Bund, Yuyuan Garden, and City God Temple. Growing up without my parents beside taught me to become independent. I always do things on my own and as much as possible I don’t ask any favor. I don’t want to disturb or bother someone for my own problems. So people who are close to me think that I’m very tough. But things change when I got married, all of a sudden I realized that I’m not that strong and I need someone to help me and to take care of me. Now, I’m so dependent on my husband so even life is difficult, I don’t like him to work abroad because I know that I can’t take a long distance relationship. Though I know that we can have a better life if he will work abroad but we never dream to be super rich, all we wanted is a simple life where we can afford our needs and some wants. But even he is not working abroad; his job entails a lot of out of town and out of the country trips. So whenever his away, I’m always scared and paranoid, what if something happens and he’s not beside us. I’m always paranoid because there are instances that I need to go to the doctor for my son’s check-up, my son was sick but we have no choice but to commute because my hubby was in business trips. 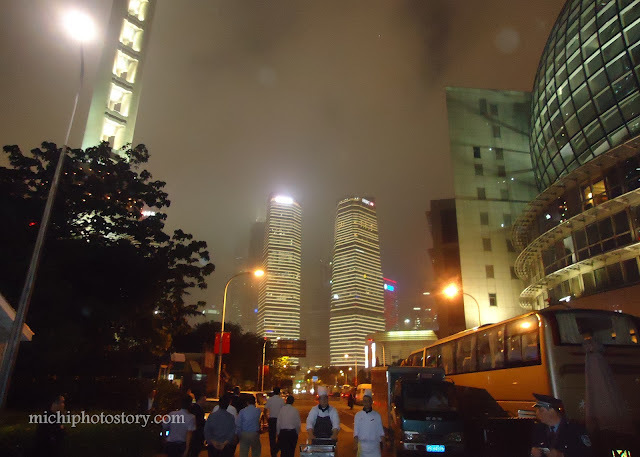 Two years ago, we experienced a signal #3 typhoon; I couldn’t sleep because I was really scared. We have no electric supply and water supply for almost 48 hours. I don’t even have an internet connection for two days because the antenna has been hit. 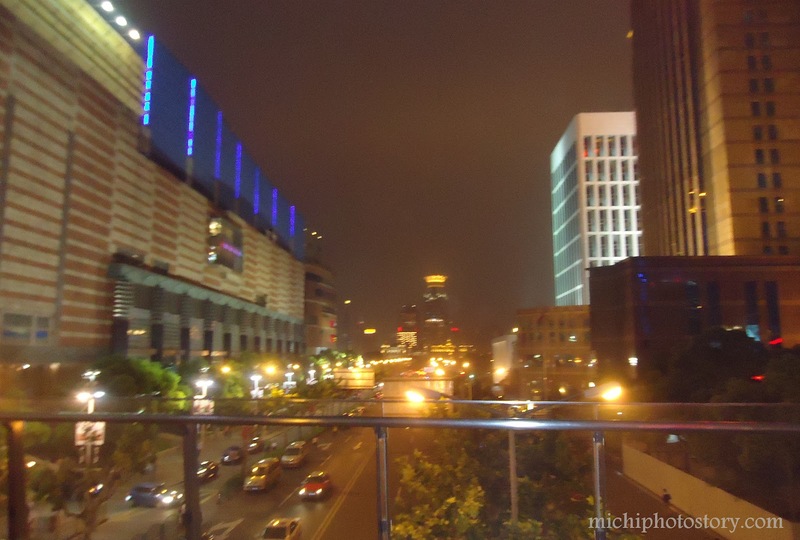 I was saving my cell phone battery so I can still text or call my husband who was in Shanghai that time. During those times, I always say, why now when my husband wasn’t home? But that's life! Another thing that scares me is when I need to fix something at home. I have no idea about tools such as self-drilling screws, bolt, grinding wheels, locksmiths and many more. But I know some tools like a screwdriver, hammer, electric drill etc. So whenever he’s away I always pray and hope that no more bad experiences. I always take one day at a time but time is really slow whenever he’s not here. How I wish I can fast forward the time so he will be home soon. Six days of waiting plus one more day and he will be home again. The lottery is very popular in the most part of the world including Philippines. A lot of people really take chance on this game and they even include lottery in their everyday budget. They also have their favorite or lucky number. These people are praying and hoping that they will be the next lucky winner. With our present economic situation, we can’t really blame people if they gamble their money in the lottery. They feel that this will be the best solution to have a good life. Why not? The lucky winner can win millions of peso and this means they can afford their needs and wants. They can buy house and lot, condos, brand new fancy car, latest gadgets and many more. They can travel around the Philippines and even around the world. If ever I won the lottery, I will spend part of the winnings in traveling. Though I love joining giveaways and contest, the lottery is not my thing. I haven’t tried this game and I have no plan yet because I’m afraid that my winnings will cause me more harm. (assuming I will win, hehe!) Don’t get me wrong. But here are the things that I don’t want to happen if ever I won the lottery. After winning the lottery, I’m absolutely sure that you will gain more relatives. They feel that your winnings are for the whole clan. They want you to rescue them from their debts or financial problems. They will borrow money from you because there is no interest. Of course not only family but friends too will like to get a share of your winnings whether it is a free meal, drinks, movie or even a weekend getaway. A lot of people will come and offer you some investment opportunity, networking or insurance and convince you to buy from them. 4. You might be a victim of a robbery, carnapping and even kidnapping. But if these things will not happen, I might try my luck in lottery. I never thought that we would be busy this summer season and it is already start of May and we still do not have any summer outing. 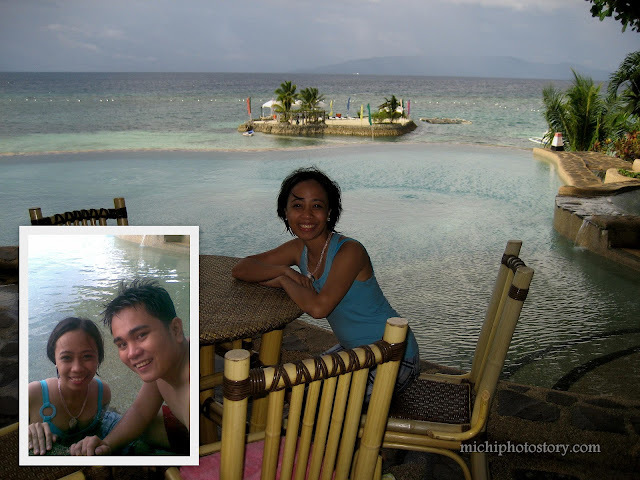 Hmmm…so I will just reminisce again our past trip, hehe! I’ll be sharing our Panglao Island Nature Resort and Spa (now Mithi Resort and Spa) experience last December 2007, yay! five years ago already. Well, I was supposed to be here last August 2007 but my Supervisor just gave me one day leave, I already filed my leave five months before but still she did not approve my 2 days leave. I have no choice but to rebook our flight. (so expensive). 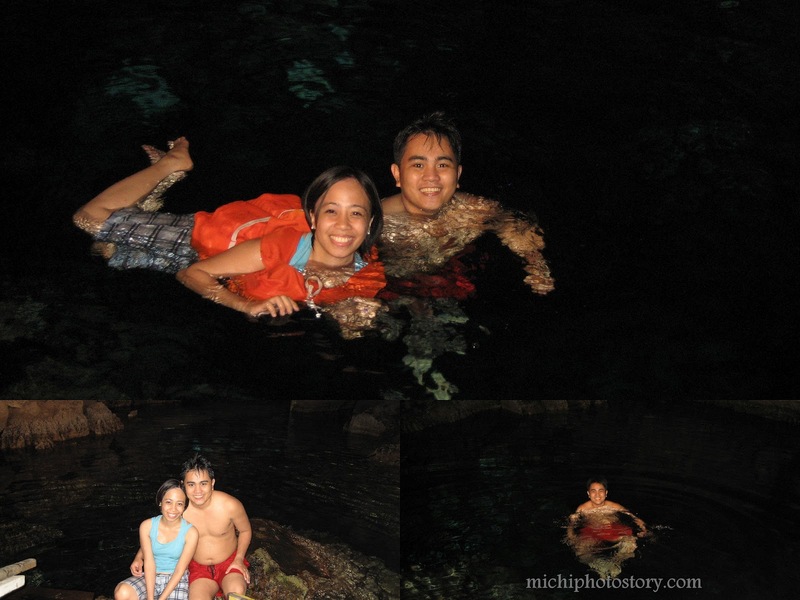 Fast forward to December 2007, we were able to pursue our trip, it was almost cancelled because my husband still has no vacation leave, two weeks pa lang siya that time sa present company niya. Hehe! I have no itinerary that time so we just go with the flow. 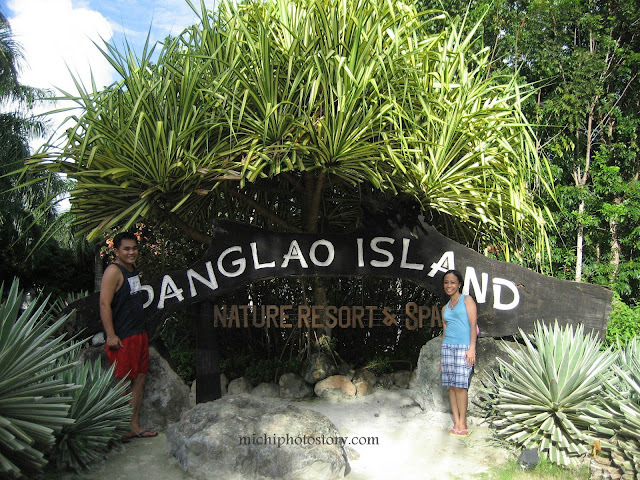 After our countryside tour we decided to have a day tour at Panglao Island Nature resort and Spa. 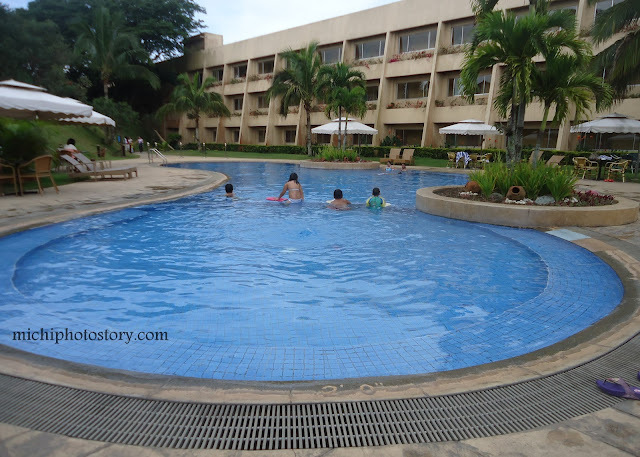 It is one of the best resorts in Panglao Island so this was our first choice to experience Panglao beach. We just took a cab to get there; the cost of fare is double so if it is P150 you need to pay the taxi driver P300. We didn’t know that there is a cave (Cambagat Cave) inside PINR so we are lucky to personally see it. The service in PINR is just ok for me and the taste of the food is just ok, there is nothing special about it considering the price. 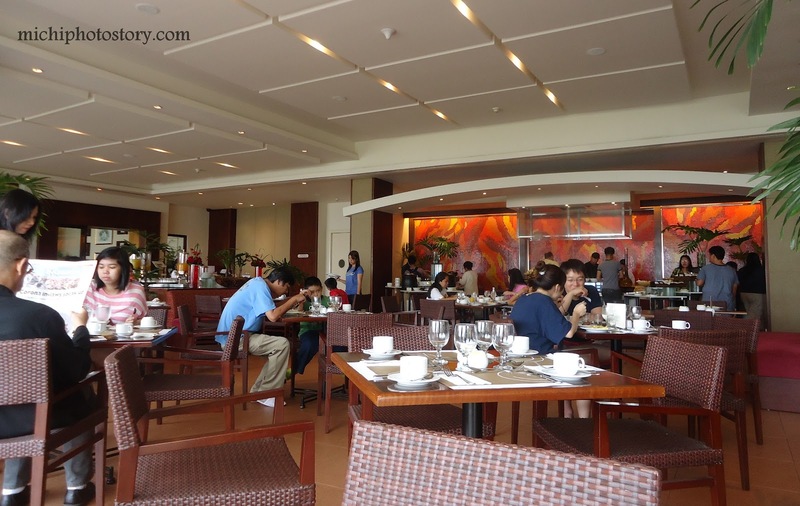 Sana hindi na lang kami nag-upgrade to buffet dinner and ala carte meal is fine. 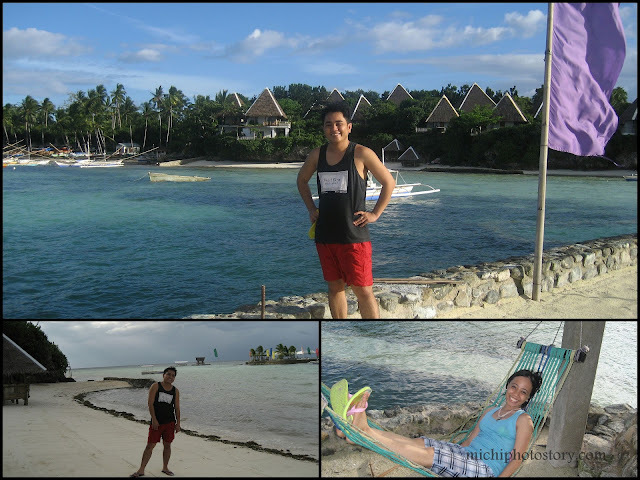 Anyway, the trip is still memorable, how I wish I can go back to Bohol and experience Island Hopping. London is absolutely brimming with attractions, including theatres, museums, galleries, and many beautiful parks and gardens – but where are the best places to go to experience the height of fashion and indulge in some retail therapy? Here are just a few suggestions. Situated in the heart of ‘Theatreland’, the historic Covent Garden market dates back hundreds of years and houses the world-renowned Royal Opera House. Today, its quaint cobbled walkways, charming piazza, and Grecian-style buildings are home to a delightful indoor market selling hand-crafted goods, homemade preserves and fashion accessories for women. There is a huge choice of cafés and restaurants around the piazza, and street performance artists are often seen entertaining onlookers with their wild antics. Camden, in North London, is the capital’s hub of alternative culture: markets and shops are buzzing with visitors no matter what the season, and the area’s numerous boutiques and indoor stalls are never short of weird and wonderful clothing – it’s the place to be for anyone into the punk or goth scenes, who will find leather, studs and rock paraphernalia in abundance. For the ultimate high-end shopping experience, a visit to the King’s Road in the Royal Borough of Kensington and Chelsea is not to be missed. 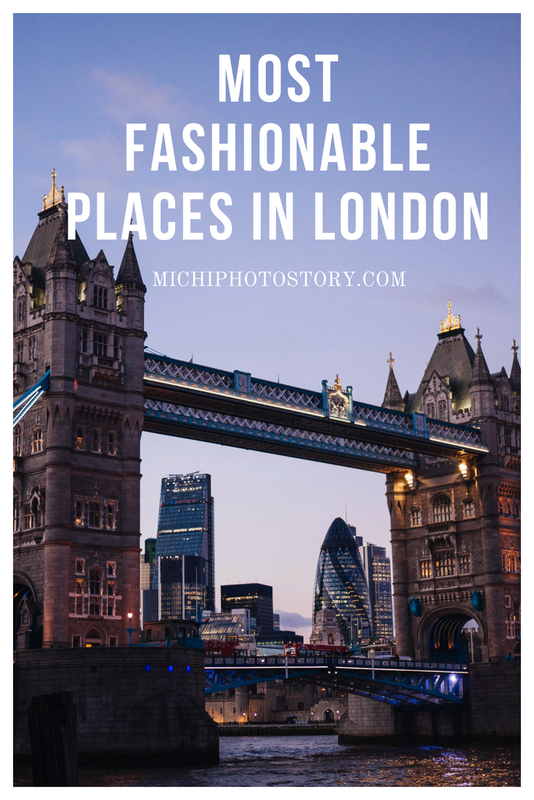 Stretching from Sloane Square and running through Fulham, the road is famous for its fashion scene, largely thanks to legendary designers Vivienne Westwood and Mary Quant. Boutiques, designer fashion houses, and the occasional French-style patisserie are staples in this highly affluent area, surrounded by Georgian and Victorian mansions. Famous for its thriving silk markets, fresh fruit and vegetable produce in the 1600s, and later disused but since regenerated; Spitalfields is one of London’s most trendy areas. An Aladdin’s cave of history, the area is the best place to go for arts and crafts, vintage clothing and independent boutiques. 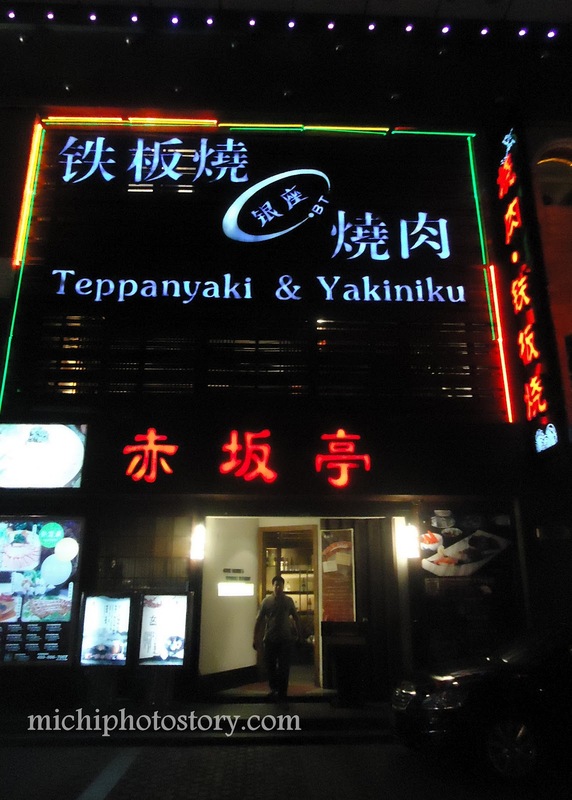 For a delicious post-shopping meal, visit nearby Brick Lane for some of London’s most mouth-watering curry houses. If you’re planning on visiting London’s most fashionable districts for some well-deserved retail therapy, an American Express Gold Card or Platinum Card is the ideal shopping companion. You can earn reward points on virtually all your purchases, and take advantage of exclusive membership benefits. When considering skiing holidays Europe has some of the best ski resorts in the world to offer. 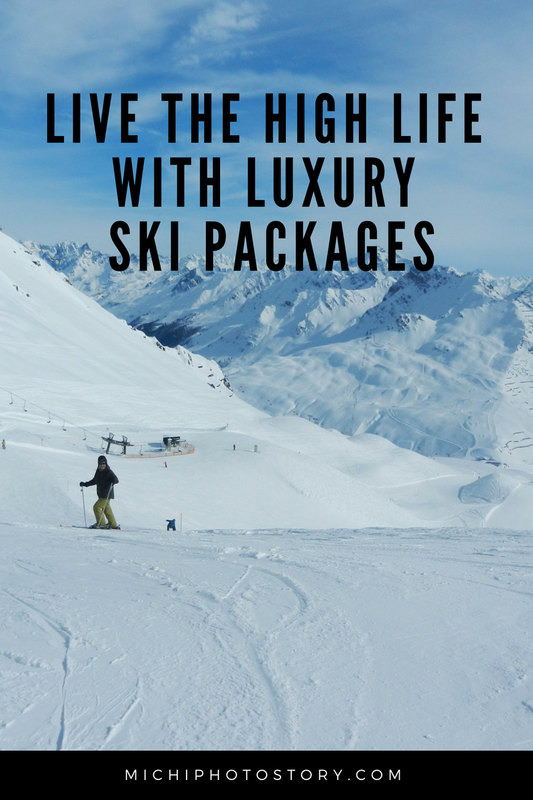 Why not choose a luxury hotel in Andorra or the Alps, to ensure that you’ll be skiing in style. The five star Sporthotel Hermitage hotel in Andorra is an incredibly luxurious example and is sure to make you feel like snow queens and snow kings for the duration of your stay. You’ll enjoy a sumptuous interior, three-course evening meals, a lounge with fireplace and free room service, and all that is just for starters. 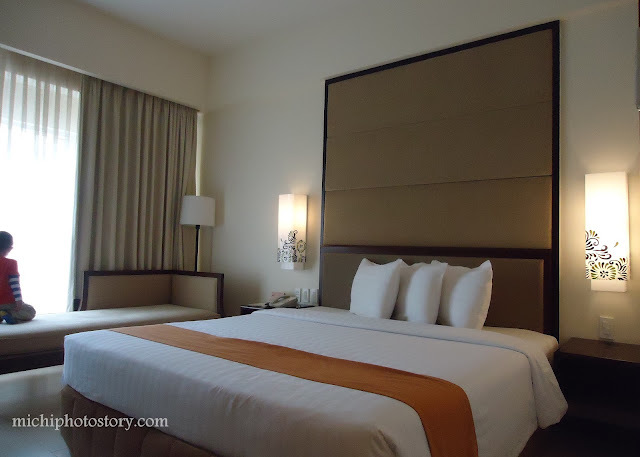 This all-suite hotel has beautiful rooms with satellite TV, balcony and spa baths as standard. Those who love their whirlpool baths will be even happier to learn that this hotel has an impressive five-floor spa offering spa baths with panoramic mountain views, several pools, heat experience rooms and a wide range of treatments. Neilson Holidays offers super service upgrades on selected catered chalet packages, for when you want to really spoil yourself. Expect a whole host of additional treats including a welcome drink on arrival, an extra course at dinner, wine choices and mulled wine with afternoon tea. Why not start your holiday as you mean to go on by arriving in style with a private transfer? You could even upgrade your flights on selected routes, meaning that your hard-earned holiday begins from the minute you depart. When you’re in the mood to treat yourself there are some fantastic options to add a touch of luxury to your trip. Don’t forget the duty-free champers to continue the holiday once home!